Macedonia was an ancient kingdom on the periphery of Archaic and Classical Greece, and later the dominant state of Hellenistic Greece. The kingdom was founded and initially ruled by the royal Argead dynasty, which was followed by the Antipatrid and Antigonid dynasties. 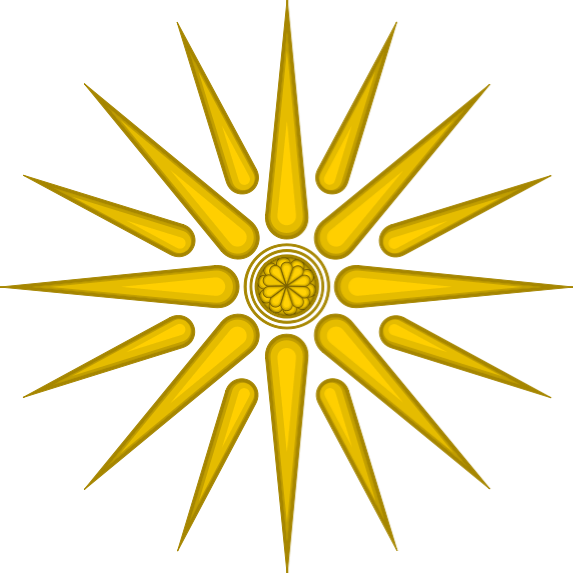 Home to the ancient Macedonians, the earliest kingdom was centered on the northeastern part of the Greek peninsula. Before the 4th century BC, Macedonia was a small kingdom outside of the area dominated by the great city-states of Athens, Sparta, and Thebes, but during the reign of Philip II, Macedonia subdued mainland Greece and Thrace through conquest and diplomacy. Philip II's son Alexander III the Great conquered territory that stretched as far as the Indus River. For a brief period, his Macedonian empire was the most powerful in the world. (5) Alexander III 323-200 BC ? (9) Alexander III 325-310 B.C.